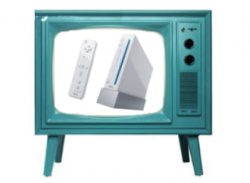 New free Wii Channel launches in Europe tomorrow. We've already seen Sony and Microsoft dip their toes into video distribution on their Playstation 3 and Xbox 360 consoles, so it seems only natural to see Nintendo following suit. Starting in the Spring of 2009, Nintendo will kick off its own brand of video distribution in Japan. But instead of offering movies and television shows, as Sony and Microsoft have done, Nintendo will instead offer..
News New Wii Channel for Japan - Print Your Photos! 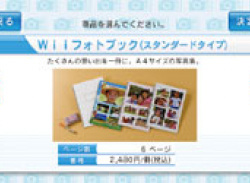 Japan gets a new Wii channel out of the blue today - What seems to translate as the "Digital Camera Print Channel" allows you to insert the SD card of your digital camera and select photos to print out! If you live in North America or Japan you can now view some more information on the Nintendo Channel. If you've looked around the channel in the time it's been out you can probably guess what this is - The results of all the data people have entered so far concerning their Wii, VC and WiiWare games can now be viewed. 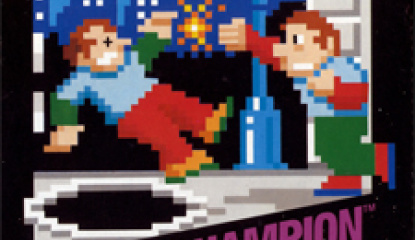 This means you can see if the games are generally considered to be for the.. The Nintendo Channel, the interactive guide to Nintendo and Wii, has gone live in North America. There is a new channel available from the Wii Shop in Japan. Hold on to your hats! 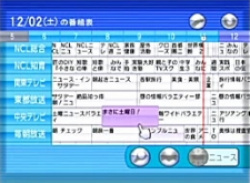 It's a TV guide which will let you share information about your favourite programmes with your Wii buddies, and Nintendo. You can even change channels on your TV with your Wiimote. Aside from saving you a few hundred yen on TV Guides this is a bit of a waste of 135 blocks of your Wii's internal memory, but as it is..
As it is my birthday tomorrow I had hoped the glowing blue light emitting from my American Wii this morning was a VC gift from a generous friend. 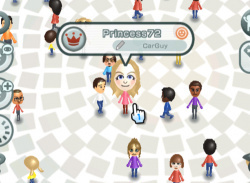 Unfortnately it was not to be - it was a prompt to update the ‘Check Mii Out’ channel instead! 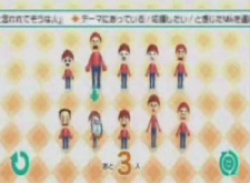 These are the improvements made to the channel: It's now easier to find Miis you've put up in the Posting Plaza. 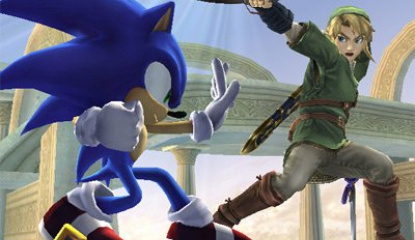 When viewing a particular Mii Artisan's..
News Smash Bros. Brawl to include VC Demos! 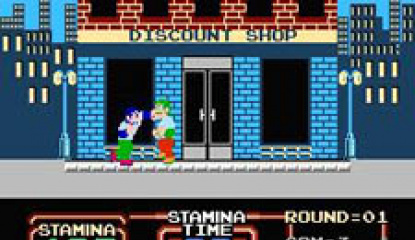 As announced on the Smash Bros. DOJO website, Nintendo is including several Virtual Console demos with the upcoming (and eagerly awaited) Smash Bros. Brawl! A simple case of crossed wires? 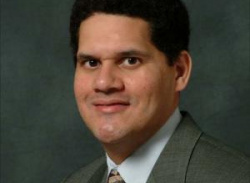 It seems that our man Reggie was misunderstood in a recent interview with the New York Times. As we (and pretty much the rest of the internet) reported a few days back, his interview with the well known newspaper seemed to indicate that ‘full’ DS titles would be made available for download in the future. 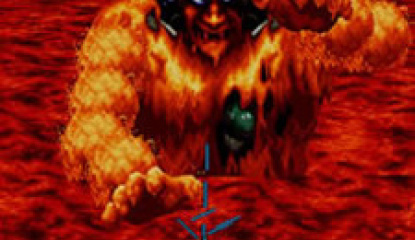 However, Nintendo has now released a statement clearing up..
News Virtual Console Coming To The DS? The rumours have been circulating for quite some time but the concept of downloading ‘complete’ games to your Nintendo DS is becoming a reality, if a recent interview with Reggie is anything to go by. 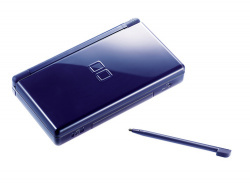 Nintendo’s main man spoke to the New York Times recently about the new ‘Everybody’s Nintendo’ channel and how DS owners..
As some of you might have already noticed this morning, everybody's favourite blue Wii light was flashing. If you turn on your Wii you'll have gotten a message from Nintendo alerting you that the Wii Shop gift feature is now available (After a Wii Shop update). But that's not all! 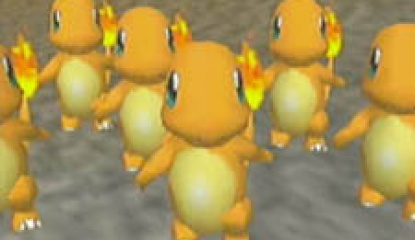 Nintendo of Europe also saw fit to release Pokemon Snap together with the new feature, instead of Friday (It's anyone's.. The long-awaited Wii Shop gift feature has launched in both Europe and the US! Now you can send your friend(s) VC games! Naturally you have to pay for them first, and there's no discount or anything, but hey, surely you want to let your friends enjoy Urban Champion as well, right? The full quote about the feature from today's press release is as follows: Later in the day on Monday, Nintendo will..
Nintendo of Japan release a new Wii Channel, Everyone's Nintendo.. with videos, trailers and most importantly DS demos. The channel's main screen is basically a list of video clips. 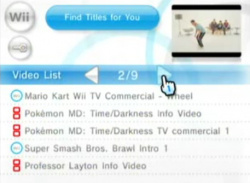 When you select a clip, the interface jumps directly into a video window, stylized depending on if the footage is related to the Wii or to the DS. The footage is played back in streaming form, so there's no need to..
Get ready to make some more free space this coming Sunday, because a new Channel will hit the Wii Shop in America (Possibly also other regions, unknown for now though). 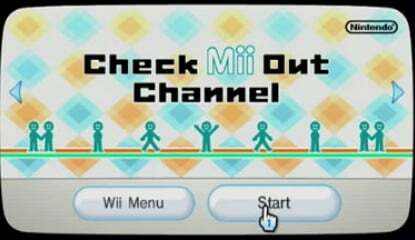 It's the Check Mii Out Channel, which was announced a few months ago. Despite it coming so soon, there are still no official videos or screenshots yet. There are however a few videos on YouTube, made at Nintendo conferences..
Nintendo President Satoru Iwata unveiled a function recently that allows users to send each other games over the Internet using the Wii's shopping channel. 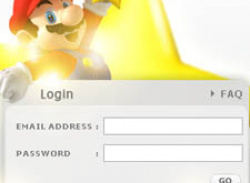 With a few clicks, a user will be able to select a game to send as a gift to another user online, Iwata said. When the recipient accepts, the Wii automatically launches the shopping channel and begins the download. "We think this will be a.. 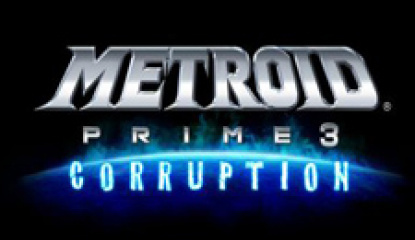 The patience of those who waited in order to watch some Metroid Prime 3 trailers has paid off - The Metroid Prime 3 Preview Channel is now available on the European Wii Shop Channel. 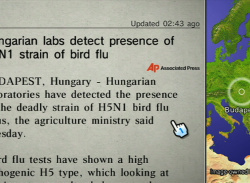 You can find it under the Wii Software section in the Wii Shop, and it, obviously, comes absolutely free of charge! There are currently six videos available, with one more being added this friday. Next week is Metroid..
A few small changes have been made to the menu and the shopping channel. 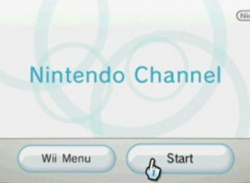 There has been a small update to the Wii menu system that Nintendo will have sent you a message about this morning, as long as your Wii is online. The changes are listed below: The time is now displayed on the menu in a big LCD style. The weather channel now shows the current weather conditions on it's channel icon. Today's..
Nintendo send out a Wiimail message stating the new improved Mii voting channel will be released in April. 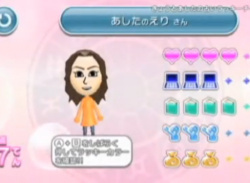 Reported by WiiNintendo.net, we've heard that the new Mii channel will including new things to do with your Mii's such as voting on other peoples Mii's and no doubt some kinda Celeb Mii area. "During the Nintendo keynote Shigeru Miyamoto mentioned that a new voting channel where people..
Wii gets another new channel, this time its all in the news. 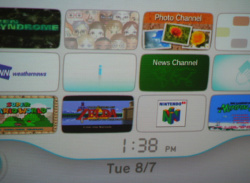 Nintendo have today announced that the free "News Channel" will be available for Wii from tommorrow. The channel using the international resources of the Associated Press gives you key stories in multiple categories from across the country and around the world. 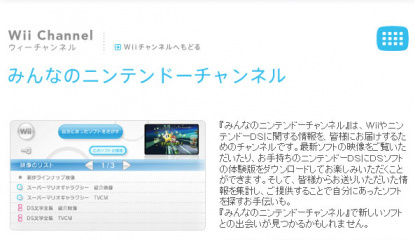 "What Wii has done for video gaming, we hope it will also accomplish for..
Information about Wii's menus surface from Nintendo's press conference earlier today. 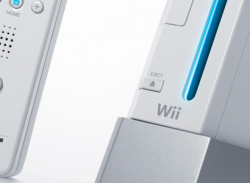 Here's the info direct from Nintendo: The Wii™ console will revolutionize how people play games. But more importantly, it will entice new players into the world of video games by offering a variety of entertainment, information and communication Channels that add value to the console and make it a device that..